The Paradigm Collection offers a “high style” sophisticated look with its swoop track arm design and dark cherry high legs. 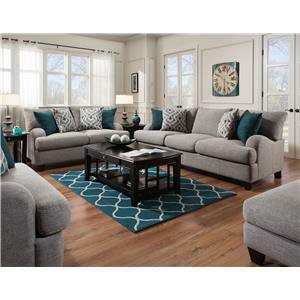 Features reversible seat and back cushions for increased comfort and durability. Seat cushions are extra thick and plush to maximize comfort.